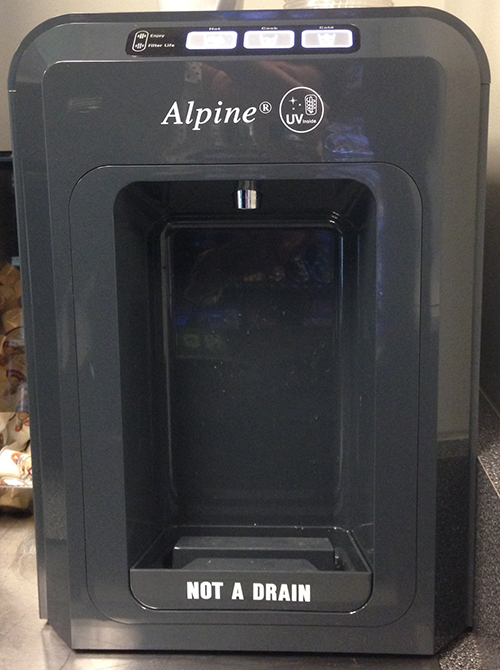 Didn’t think I was going to become a magnet for this kind of stuff, but it would appear another water dispenser with bizarre dispensing rules has found me. Or I found it. Or one of my coworkers told me to go check it out. Whatever. In order to dispense cold water, you press and hold the button labeled “Cold.” Pretty self-explanatory and it behaves just as expected. If you want “Cook” temperature water, you press and hold the button labeled “Cook.” 2 for 2. Now it gets crazy. If you want hot water, you logically press and hold the hot button and expect hot water to dispense. Wrong. No hot water dispenses. WTH? The only thing that happens is the Hot water button flashes at you and you stand there like an idiot, wondering what’s going on, is it broken, did I miss something, etc? 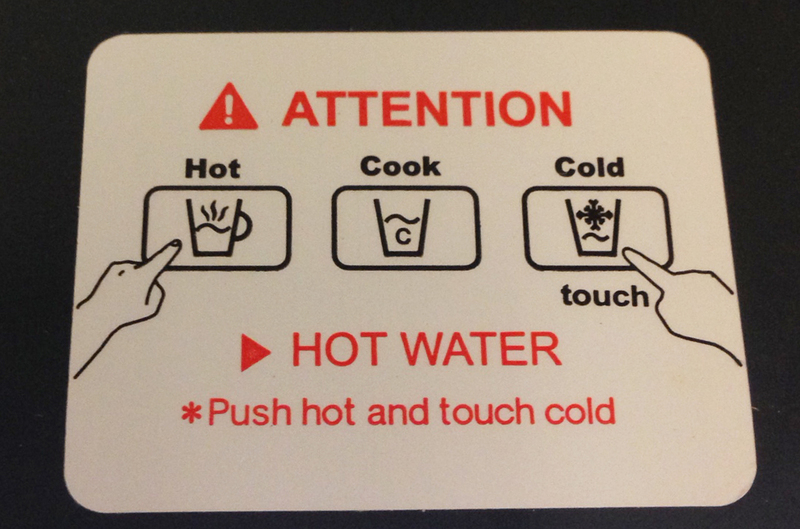 Yes, you did miss something: the very small instructions on the top of the machine that instruct you to push the “Hot” button and touch “Cold” button at the same time in order to dispense “Hot” water. Not only are these instructions so small that you easily overlook them, they’re also not in your line of focus. Furthermore, the “hot” and “cold” in the instructions aren’t capitalized like they are in the button label, causing a brief disconnect. Last but not least, what about having to “push” and “touch” two different buttons simultaneously. In an office environment where at least one of my hands is most likely clutching a phone, laptop, paperwork or any number of other objects. I can only guess that the reason this particular dispenser works this way is to avoid people suing them for accidentally burning themselves by not paying attention. I get it. But, multi-tasking to get a cup of hot water for tea. Who would have thought?